Check out how you can get involved at UC San Diego at the Center for Student Involvement. You can also view a list of campus pre-professional student organizations, and view information below about some highlighted programs. Student Orgs, including those not listed here, hosting events or activities related to the Department of Economics and its students can apply for sponsorship funding to help with event expenses. Triton Consulting Group is an on-campus consulting organization composed of motivated students from a broad spectrum of academic backgrounds. Our organization is open to all majors and disciplines, from humanities to engineering. TCG serves to educate, train, and expose students to real-world business problems and give them the acumen needed to find solutions. By teaching professionalism, basic to advanced business frameworks, and hands on experience with firms and startups, we prepare UCSD Students for their careers post-graduation. Go-To-Market and pricing strategies for on-campus startup. Conducting market research, competitive analysis, analyzing customer segments in client’s target market. Developing startup business model while also maximizing scalability of operations. UCSD Women In Business aims to empower women of all backgrounds to become leaders in today's ever-changing world. We hope to encourage both professional and personal growth by providing the support needed for women to overcome the challenges they face. Business education through GBMs that give exposure to industry leaders who come to share their stories and experiences. Mentorship from executive officers who will personally help you discover and pursue a career best aligned with your passions. Hands-on experience to gain tangible and relevant skills through professional development programs and committees. Community service events to give back to the community, empower others, make positive changes, and discover the joy of helping others. Social events to develop strong relationships. The Society's advisor is Department of Economics Professor Michael Willoughby. The Institute's Economics faculty advisor is Department of Economics Professor Valerie Ramey. A persistent issue in economics has been the low representation of women and minorities in the profession. 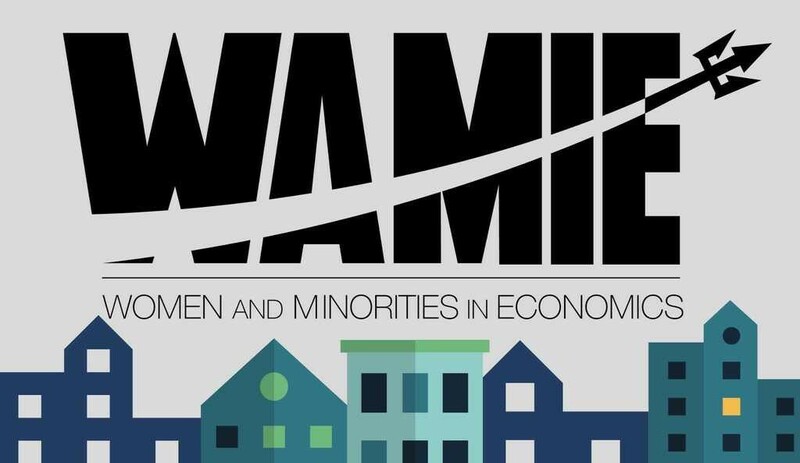 WAMIE (Women and Minorities in Economics) is dedicated to supporting all UC San Diego undergraduates, with a particular focus on the issues facing women and other underrepresented groups. We strive to create a supportive community where challenges are discussed, and innovative solutions are created. By giving students a closer connection to faculty, alumni, guest speakers, and researchers, and by making students aware of numerous opportunities in the department and in the profession, we hope to better equip students with the tools they need to succeed at UC San Diego and beyond. We welcome all students as part of this organization, and believe that our mission is enriched by considering diverse perspectives.